Finally--some crafty time this weekend. I'll start with a get well card that I made for a little boy about to undergo a major surgery. I used the technique from this week's Make it Monday #298: Faux Epoxy Embellishments. I used some of the preprinted paper from the Out of This World kit, adding a stenciled sun and the rockets and planet as my faux epoxy embellishments. I am also entering this card at Simon Says Stamp Monday Challenge: A Walk on the Dark Side and The Male Room #70: Anything Goes with the Option of Technology--My rockets are the technology. My next card was inspired by this beautiful card at Muse #236 by Anita. I was inspired by the theme of leaves, the fall colors and the die cut sentiment on vellum. 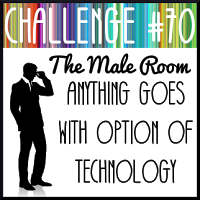 I am also entering this card at Addicted to Stamps and More #262: Make Your Mark. While I still had that leaf die out, I decided to make another card with it. 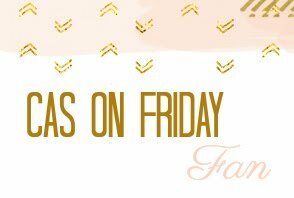 I used the colors from CAS Colours & Sketches #243, and am also entering this card at CAS on Friday #118: Fall. Last of all is a card I made for the Favorite stamp challenge at Addicted to CAS and More #121. I have so many stamps, it is really hard to pick a favorite, but I looked at the labels on my blog, where I normally put the name of the stamp sets I used, and saw that Harvest Berries came up 17 times--way more than anything else, so that is the stamp set I used. I also saw that I typically used this set for sympathy cards, but decided this time to make a masculine get well card. Four awesome cards, Joyce! Your space rocket get well card is perfect for a young boy and wise to add epoxied embellishments. You were on a roll this weekend. I need to find more crafty time, too. Happy October! Great card for the little boy, Joyce! Awesome design and wonderful faux epoxy elements. Hope his surgery goes well. And I love the fabulous leaf panels. So many wonderful cards! Thanks for playing along with us at CC&S! I like the use of the colors! WOW Joyce ! You really honoured the Card Making Day with all these beauties ! There all fabulous ! Love your space scene, I'm sure the little boy will love it ! Your two frames with the falling leaves are just gorgeous and look like so different only by changing the colours ! My favourite one is your last card with those delicate harvest berries in blue ! Absolutely gorgeous ! Thanks for sharing and for inspiring ! I love it when you have a crafty weekend!! Your first card is super cool, something my brother would enjoy. I'm swooning over those pretty colorful leaves on your Muse card!! Incredible work Joyce! Love this! I'm going to have to find that leaf die! Great kid's card with planet, rockets and stars. 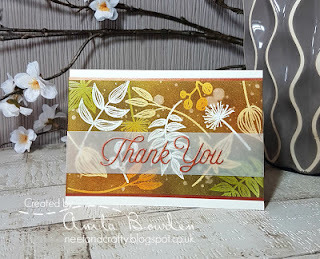 Thank you for Walking On The Dark Side with Simon Says Stamp Monday Challenge! Beautiful set of cards Joyce - love the fall leaves! So glad you joined us at Muse this week! Wow you have been busy! 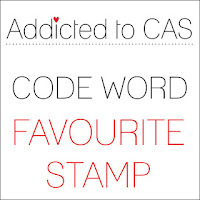 Your cards are all gorgeous - thanks for sharing with us at CC&S! WOW! Talk about some fabulous eye candy! I'm so glad you found the time to play in your craft room, Joyce...your cards are just beautiful! 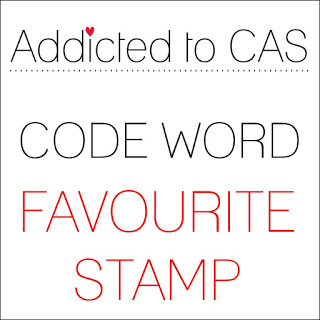 Thanks so much for sharing your favorite stamp with us this week at Addicted to CAS ~ We always enjoy seeing your beautiful creations in the gallery! Been missing your weekend line-ups, Joyce. Today didn't disappoint. What a collection of goodness. The detail in the outer space card is phenomenal, I'm sure that young man will love it. I wish I had included my stamps in my labels so I could go back and see what I used most, but I love that Harvest Berries set too. As a get well card that has to be 'out of this world', it's fab. Thank you for sharing it with us at TMR. What a lovely fall inspired card! Thanks for joining us at ATSM.